Dishonored 2 is an stealth action-adventure video game developed by Arkane Studios and published by Bethesda Softworks. The series takes place in the fictional Empire of the Isles with the majority of Dishonored 2 set in the coastal city of Karnaca. After Empress Emily Kaldwin is deposed by an “otherworldly usurper”, the player may choose between playing as either Emily or her bodyguard and father Corvo Attano as they attempt to reclaim the throne. Both Emily and Corvo employ their own array of supernatural abilities. They can alternatively decide to forfeit them altogether. There are a multitude of ways to succeed in each given mission, from stealth to purposeful violent conflict. Ideas for a sequel to Dishonored began while developing its downloadable content, which spawned the decision to create a voice for Corvo Attano after being a silent character in the first installment. Emily Kaldwin was first proposed as a playable character and brought about the advancement of the timeline. The design was influenced by paintings and sculptures. Set in the new fictional city of Karnaca, its history was invented over the course of one year. The city itself was based on southern European countries like Greece, Italy, and Spain, drawing on the architecture, fashion, and technologies of 1851. Reprise your role as a supernatural assassin in Dishonored 2 – the follow up to Arkane Studio’s first-person action blockbuster and winner of more than 100 ‘Game of the Year’ awards, Dishonored. Play your way in a world where mysticism and industry collide. Will you choose to play as Empress Emily Kaldwin or the royal protector, Corvo Attano? Will you make your way through the game unseen, make full use of its brutal combat system, or use a blend of both? How will you combine your character’s unique set of powers, weapons and gadgets to eliminate your enemies? The story responds to your choices, leading to intriguing outcomes, as you play through each of the game’s hand-crafted missions. Dishonored 2 is set 15 years after the Lord Regent has been vanquished and the dreaded Rat Plague has passed into history. An otherworldly usurper has seized Empress Emily Kaldwin’s throne, leaving the fate of the Isles hanging in the balance. As Emily or Corvo, travel beyond the legendary streets of Dunwall to Karnaca, the once-dazzling coastal city that holds the keys to restoring Emily to power. Armed with the Mark of the Outsider and powerful new abilities, track down your enemies and take back what’s rightfully yours. Trainer for the game Dishonored 2, you can use it to activate these essential Cheat Codes: Infinite Health, Infinite Mana, Infinite Ammo, Infinite Consumables, Infinite Oxygen, Stealth Mode, Super Speed, Super Jump, No Fall Damage, One Hit Kill, Infinite Gold, Infinite Runes, Infinite Traits, Infinite Whale Bones. 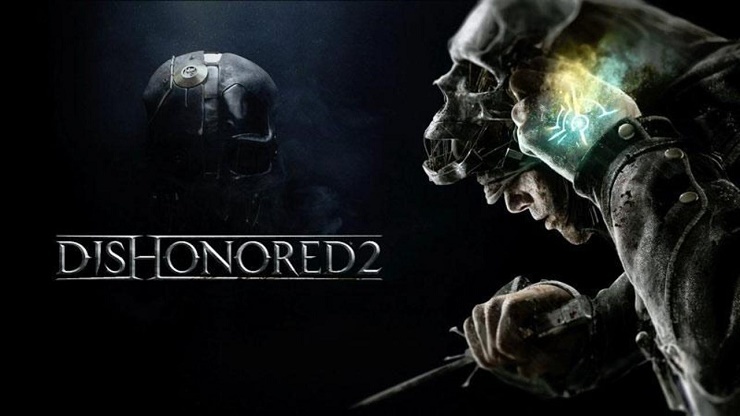 Note: This cheat tool is for the original version v1.77.8.9 of the game Dishonored 2.